Trains between Preston and Blackpool have been cancelled or delayed this morning. The cancellations are due to points failure at Kirkham and Wesham railway station. Disruption is expected until 10am, affecting rush hour commuters. Trains between Preston and Blackpool have been suspended, and will resume with the 10.12am service. The cancellations affect services between Blackpool North and Preston and Blackpool South and Preston. The cancellations also affect services between Blackpool North and Liverpool Lime Street. 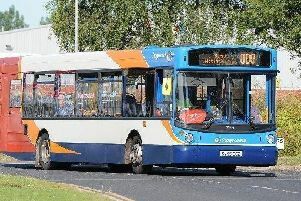 Bus replacement services are being arranged, but delays are expected as Northern Rail needs to recruit a fleet of buses. You can claim compensation if you've been delayed for more than 30 minutes. Make your claim here. There will be a reduced timetable on Saturday with very few trains running before 9am and after 6pm. The strike action will continue on Sunday with cancellations affecting Northern services throughout the day.